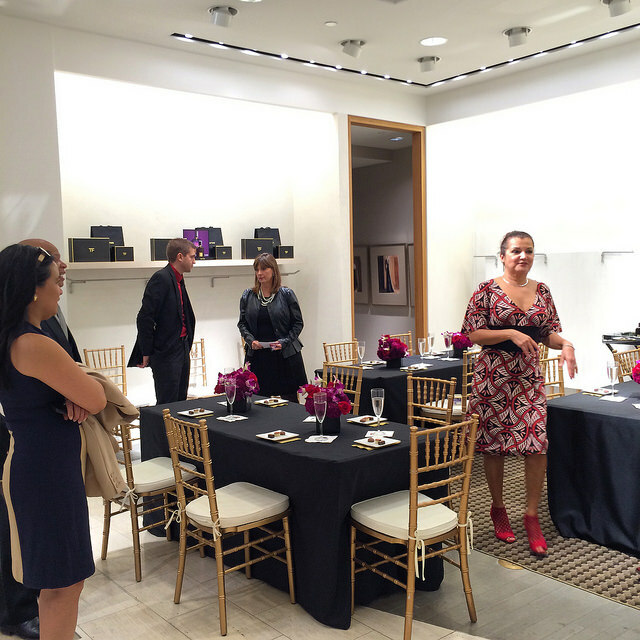 Despite my best efforts, I’m not a very-important-customer (VIC) at places like Neiman Marcus Tampa Bay. The store opened in 2001 when I was a high school freshman, and had even less disposable income. Even today, to come in and browse, with nothing in mind, is a practice in looking composed when you realize you still can’t afford anything that catches your eye. 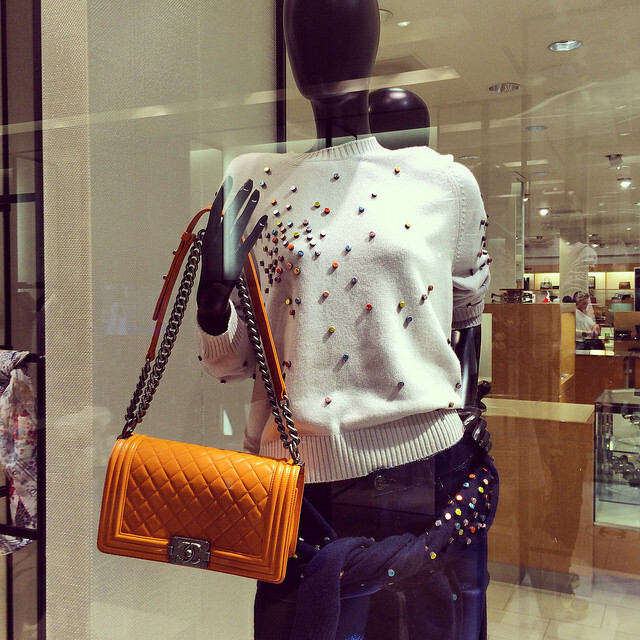 I have, however, become friendly with a handful of the sales associates over time. 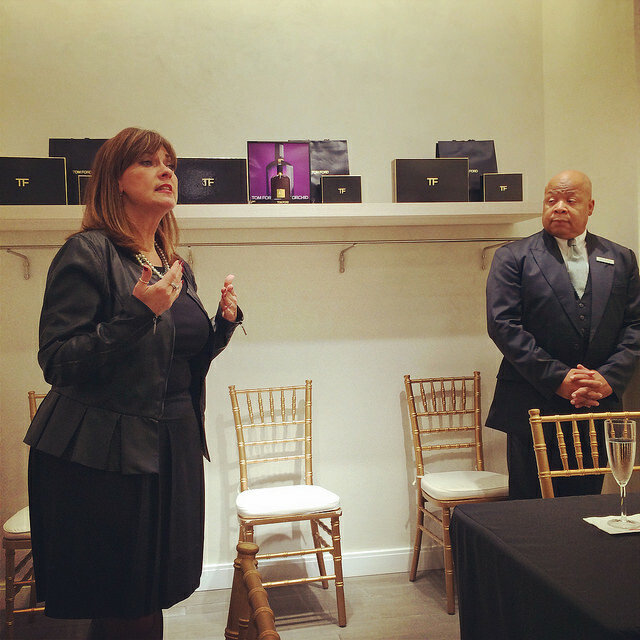 Carlton Jones has sold me several bottles of Tom Ford Private Blend fragrance, and in shopping for a client last Christmas, I worked with Sherry Saenz, who runs the Chanel hard vendor shop. I don’t walk in with dollar signs above my head, but I do have a different sort of clout, being a blogger and part of the unofficial media. And, I’m a pleasant person. For those reasons, Carlton invited me to a Tom Ford fragrance event, where we sampled chocolates paired to each note of Velvet Orchid, the newest release of Tom Ford’s Signature line. 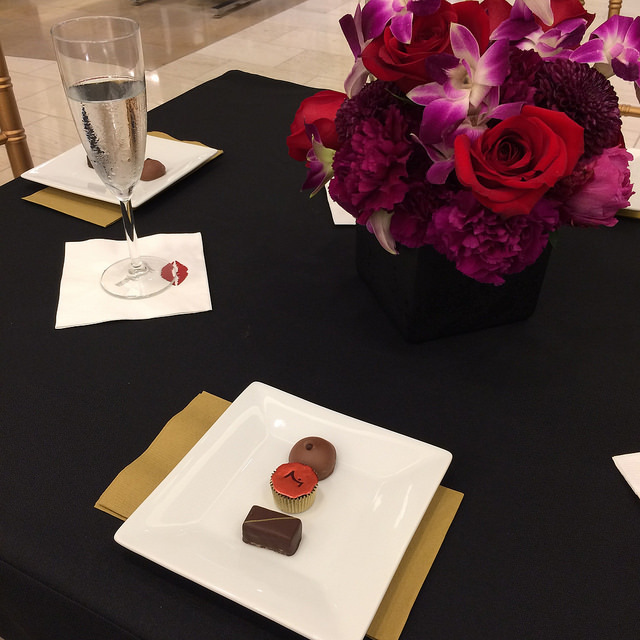 La Maison du Chocolat supplied the edibles, and Tom Ford Beauty regional manager Jackie Lopez walked us through the pairings. Each piece of chocolate corresponded to either the base, middle, or top note, which we sampled one at a time, with flavors and scents like orange blossom, rum, suede, and sandalwood. Velvet Orchid is too sweet for me. My immediate reaction was “scent of a lady who sells perfume or cosmetics.” In encompassing so many floral, sweet, and leathery elements, it’s forgettable. Not unpleasant, just not for me. Patchouli Absolu is the newest offering in TF’s more exclusive and higher-priced Private Blend line, and became an instant favorite of mine when Carlton made me a sample six weeks ago. Not pungent like patchouli usually is, but a much richer, more refined version. Not dissimilar to cheap wine and a connoisseur’s pick. I couldn’t justify buying myself a(nother) bottle of TF, right before the holidays, when I should be thinking of others. The event was a nice Friday treat nonetheless, and the chocolate flight was lovely. 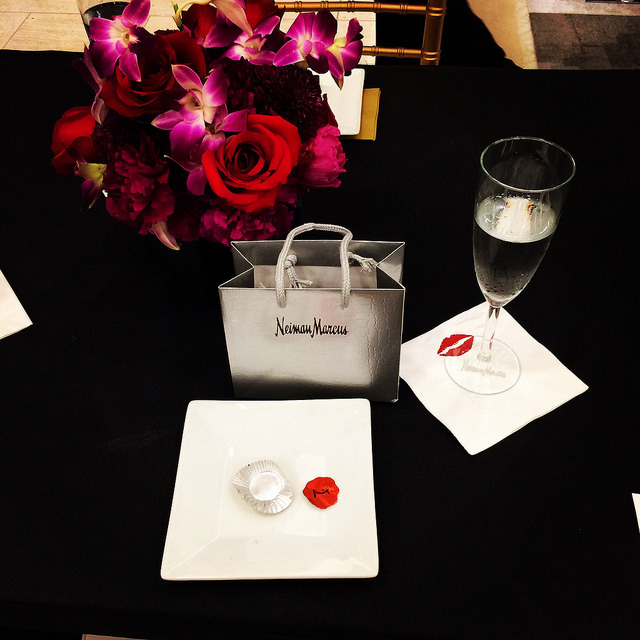 Thanks to Carlton and Neiman Marcus Tampa Bay for the invitation!